There was something about AOL's decision to sell or close Bebo that had an air of sad predictability about it. Digital start-ups, particularly those based on social technology, often seem to struggle once acquired by a large media interest. Friends Reunited was sold by ITV for less than a sixth of the price they paid for it a few years earlier. MySpace, owned by News Corp, has seen a steady decline in user numbers in the face of a continually steep growth curve from its main competitor, meaning that it now has less than one quarter the number of users Facebook has. Bebo's popularity peaked at about the time of its sale to AOL, and has seen its user numbers drop 45% year-on-year to a point where it now has 13m users compared to Twitter's 70m (Comscore). "Business schools tend to focus on inductive thinking (based on directly observable facts) and deductive thinking (logic and analysis, typically based on past evidence), …Design schools emphasize abductive thinking—imagining what could be possible. This new thinking approach helps us challenge assumed constraints and add to ideas, versus discouraging them." "Habit builds up energy over time. The repetition of any action–good or evil–generates power. Energy concentrates and accumulates. Bad habits become harder to break." 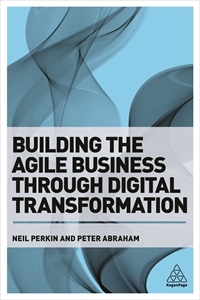 Inflexible rituals do not sit well with businesses that need to be agile. Bud Caddell talked about the complex adaptive systems that characterise the markets that organisations operate in. There's no optimal strategy for navigating markets like these, he says – your best course of action is to make predictions, collect insights, and explore successful strategies outside of your company and bring them in: "Knowing this, it's shocking just how little of all three activities most organizations engage in and how little credence each is given." He's right. Today's markets are being disrupted by game-changing innovation. Start-ups that do not follow the established ways of doing things. That are founded on cultures of continual innovation. That are agile by nature. Originating the kind of disruptive technologies and business model innovation that transforms markets is not easy for established players. The majority end up being introduced by newcomers to the market. Incumbent businesses typically find this type of innovation hard to implement - not least because most business model innovations do not make economic sense for established companies. To paraphrase Costas Markides, the issue is not discovery, the real issue is organisational. "In such systems there is no way to make things a little bit simpler - the whole edifice becomes a huge, interlocking system not readily amenable to change. When the value of complexity turns negative, a society plagued by an inability to react remains as complex as ever, right up to the moment where it becomes suddenly and dramatically simpler, which is to say right up to the moment of collapse. Collapse is simply the last remaining method of simplification." My point is not that every large, complex organisation is on the point of collapse. More that over time organisations become a system. Systems which can swallow and strangle a culture which is different, younger and less entrenched than their own. I've no idea whether this is what really happened with Bebo, or any of the others. But if big business is ever to become more agile, perhaps it should take some lessons from the start-up businesses it admires sufficiently enough to acquire.